Hi everyone and welcome aboard! It's Jenny (Pushing The Right Buttons) here to kick off the first in the Destination Inspiration series for 2016. Hop aboard, on the first leg of the journey for January, here at Terminal 1, with a brand new line-up of essential items in our travel bags this month! Now that's a line up that could get you quaking in your boots eh?!!! 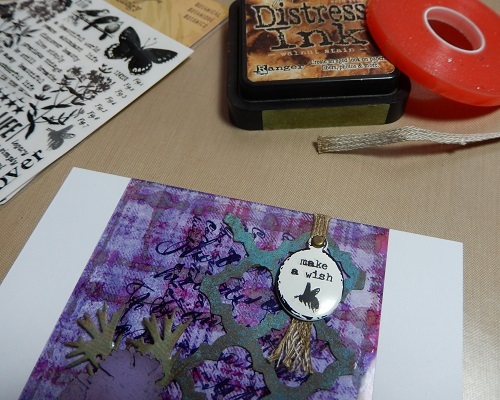 Undeterred, I took heart from Tim Holtz' chosen theme for his 2016 12 Tags Challenge - Technique Remix. 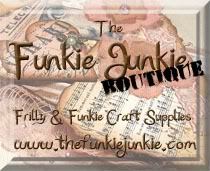 To be honest we've been revisiting his techniques since day one here at A Vintage Journey; there's no point investing in all those products and working through one tag tutorial only to abandon it completely right? So my Remix is a blend of Alcohol Ink Resist (Compendium of Curiosities Vol II, page 59) and one section of Tim's 12 Tags of 2014 - April. 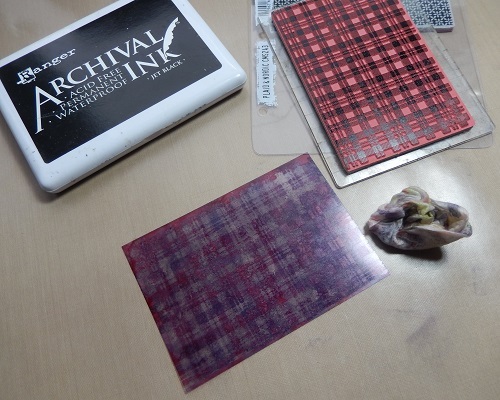 First up, the tartan background. 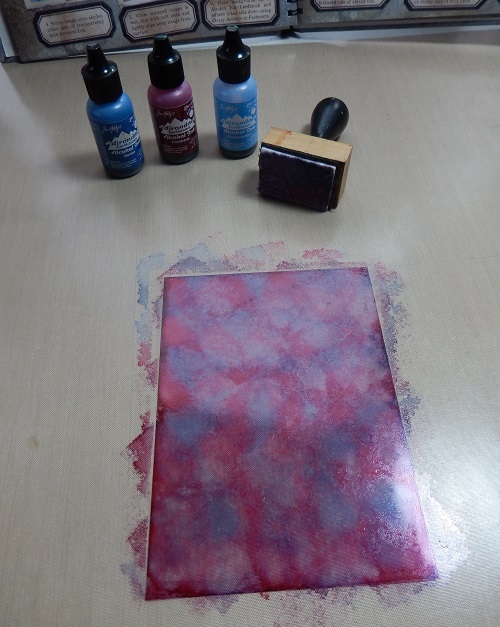 Apply a mix of Denim, Cranberry and Stonewashed (or similar) alcohol inks onto a panel of acetate (about A5 size) using a blending tool and allow them to dry. The next bit is explained in Tim's book; I used the Plaid background with Jet Black Archival. Trim to size and adhere to a square of plain white card using Glossy Accents (ink side down). I added lines of it along the stamped lines so it didn't matter when any showed through. 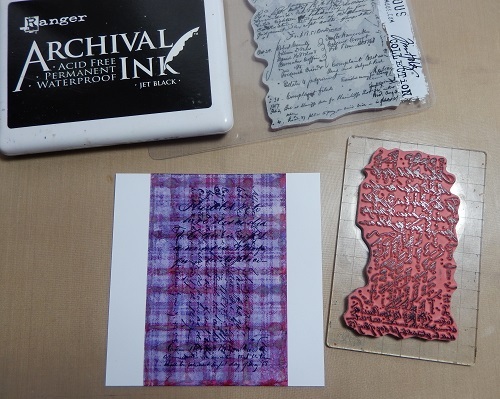 On the clean side of the acetate stamp the smaller of the Ledger Script backgrounds, again with Jet Black Archival Ink. Now for some lucky heather. Here's where the Dusty Concord comes in... dab a generous amount of Distress Paint over black card, allowing bubbles to form/pop and leave some of the black exposed. We are going for the look of stylised 'heather' here so it needs to look a little mottled! Either allow to air dry or blast with your heat gun. 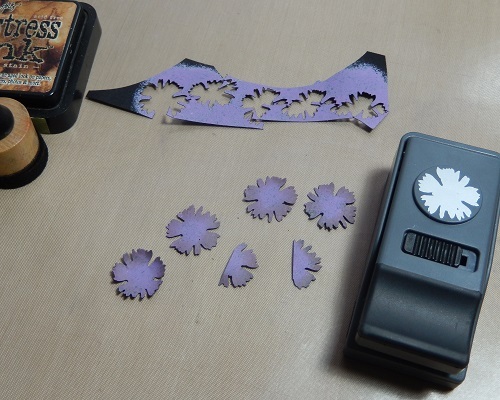 When dry, use a Spiky Floral punch to cut out five flowers, edging them with Walnut Stain Distress Ink using a blending tool. 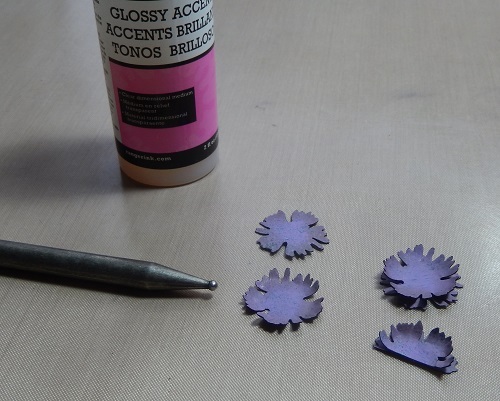 Cut one of the flowers in half, then shape the edges of three with your Remnant Rub tool. Layer the shaped ones over the flat ones, gluing together with Glossy Accents. Set aside to dry. Cut a couple of spiky stems from Coredinations Kraft Core card using the Holiday Greens Thinlits. 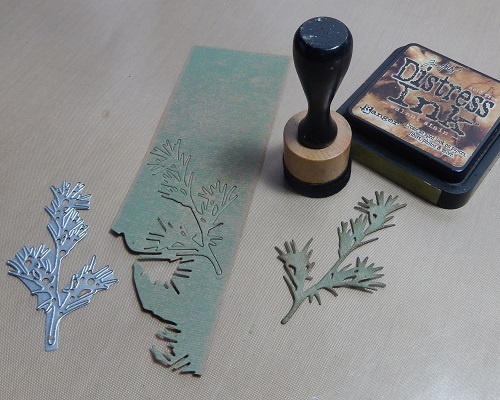 Having spent many an hour die cutting this stuff I always sand mine back before die cutting to prevent tearing any leaves. 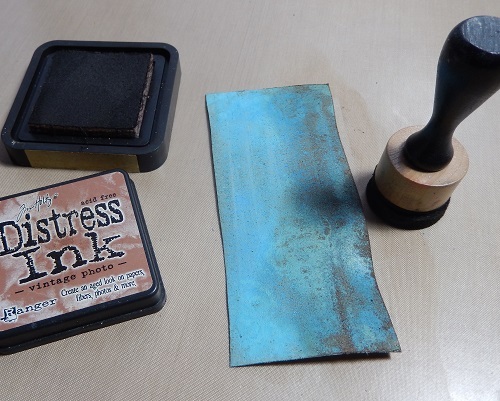 When cut, edge with the Walnut Stain Distress Ink. 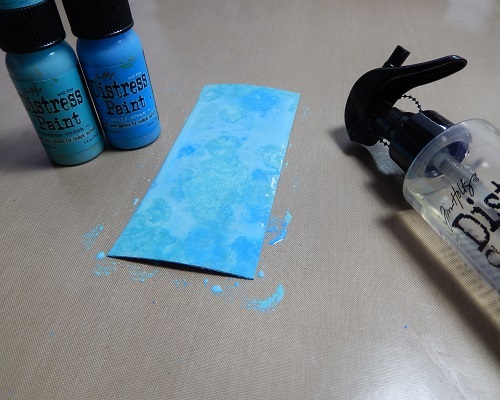 Now on to the 2014 April Tag element - cover a strip of Grungepaper with Broken China and Salty Ocean Distress Paints, spritz with water (to allow the paints to blend) and dry. Sand back roughly over the dry Grungepaper to reveal the surface, then blend Vintage Photo Distress Ink over the top. 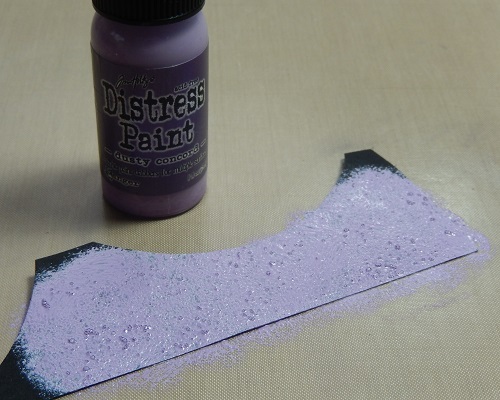 Use the Trellis Frameworks die to cut a trellis shape and glue onto the dry acetate background. I added an extra bit from a previous project. Keep all spare bits together as you can piece them together to create gorgeous collage/mosaic looks. Now to signify the passing of time. 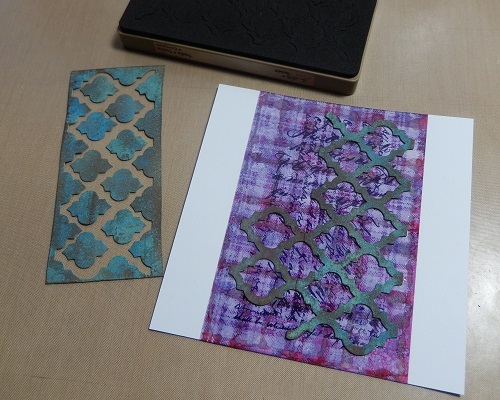 Colour a small piece of card with Tarnished Brass Distress Stain, dry, and blend Walnut Stain Distress Ink over the top. 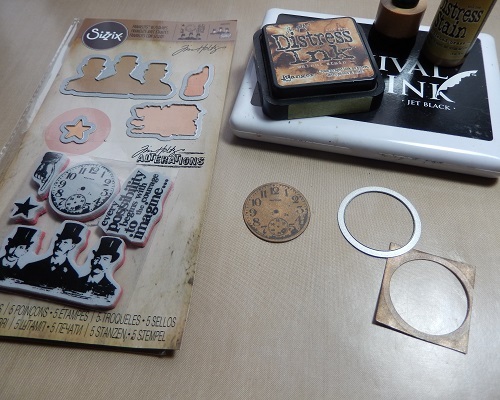 Stamp the clock with Jet Black Archival Ink using the stamp from the Possibilities Framelits set. Layering all these elements on with clock hands and fasteners, you'll see I've also added an Enamel Tag with Remnant Rubs over some inked Linen Ribbon. 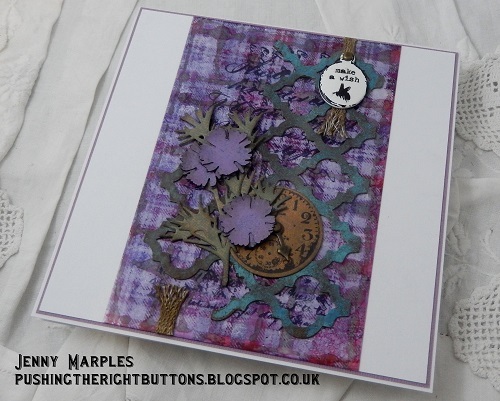 Add a coordinating colour card background border, glue onto your card blank, and hey presto you're done! Thank you for joining me on my travels today. I hope you will come back next week to see what's on offer at Terminal #2! 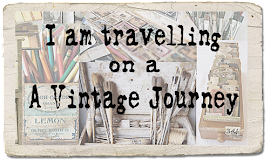 Meantime a quick reminder that our current challenge 'Vintage Travel and Luggage', hosted by the one and only Brenda Brown, is up and running to the end of the month. It would be fantastic to see your creations! And if you haven't done so already, make sure you check out what my talented teamies have created to inspire you. A great step x step tut Jenny! And a great way to use the techniques in a different way. So beautiful!!! First of all, I totally love the result of the very clever use of the items in your travel bag Jenny, and how clever to combine those different techniques! A great step by step too! And like Jennie says, it spell Hogmanay all over, - brilliant! Fabulous use of the travel bag contents ! 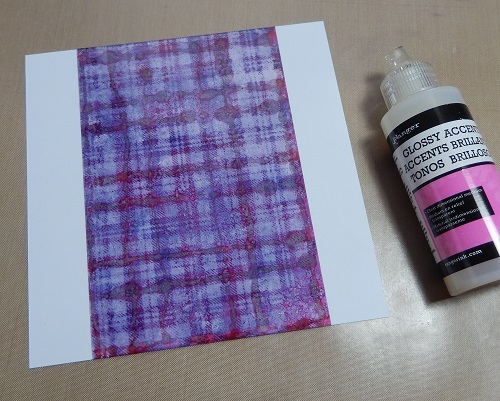 Jenny I love using the alcohol resist technique and the way you have used it to create your tartan background - so clever and very effective . Equally fab trellis and heather . Wonderful composition of all your elements and embellishments . Now how do I follow this I wonder ??? Fabulous step by step and loving the design and ingredients. I don't know how in the world you think to do all of this - now that creativity at its best with such gorgeous colors too! What a great Scottish look for Hogmanay! Lovely colours of heather and bracken - and great work with the alcohol inks. 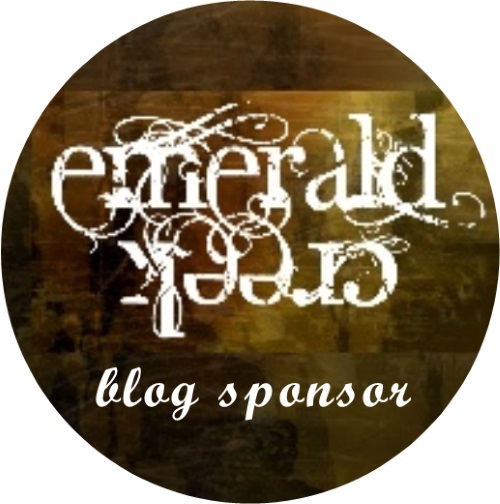 I just enjoyed reading about your process, but the end result is FAB-U-LASSS! Love that plaid background and the pop of blue from the trellis. So inspiring and such a great start to the New Year! Hugs! What an amazing creation to kick off the DI posts Jenny. Love everything about your card. Purple tartan yummy perfect background for your beautiful card thank you for all the step by steps great techniques........ it's always good to revisit Tiim's techniques too.